The Vintagent Trailers: A preview of our favorite feature films out there. Cast: Max Hazan, Paul d’Orleans, Roland Sands, and more. ‘Oil in the Blood’ is a documentary feature film on the contemporary custom motorcycle culture. 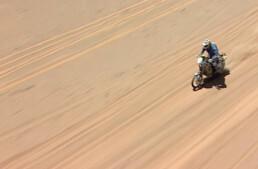 The film is directed by life-long biker Gareth Maxwell Roberts and produced by Lucy Selwood. 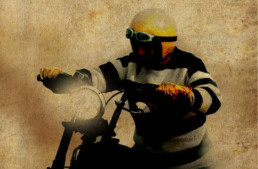 The philosophy of individualism is embedded in motorcycling. The desire to be different and unique, is at the root of the motorcyclist’s imagination. Modifying, customising, and changing bikes is at the very heart of the biker. Custom motorcycle culture has experienced a renaissance in recent years, and what was once a niche subculture now bears a significant influence on the international mainstream motorcycle industry. Over the last three years, Gareth and Lucy have interviewed nearly three hundred bike builders, riders, journalists, artists and racers; the very heartbeat of this culture. They’ve communed with like-minded souls in Britain, Europe, Japan, Australia, The Far East, Africa and the US. They’ve spoken to major manufactures Harley Davidson, Yamaha, Royal Enfield, Ducati and BMW. Lucy and Gareth have filmed at both The Bike Shed London and Paris, The Malle Mile, Wheels & Waves in Biarritz, The Trip Out, The Brooklyn Invitational, The Distinguished Gentlemans Ride in London and New York, Throttle Roll in Sydney, Indian Larry’s Block Party, Dirt Quake, Snowquake, The Malle Mile and The Trip Out in rural England, The One Moto Show in Portland, Mama Tried in Milwaukee, Mooneyes in Tokyo, and The Handbuilt Show in Austin. 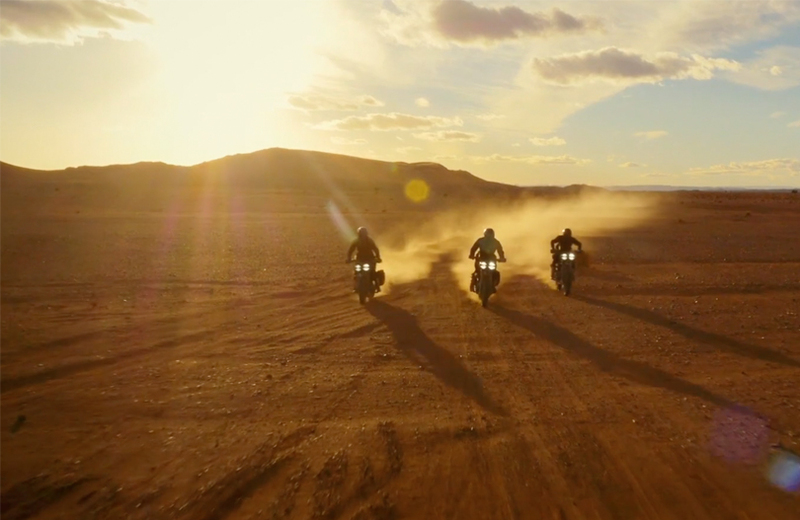 The film-makers filmed a collaboration between Harley Davidson and maverick bike builders El Solitario in the Sahara, flat track racing in dusty bowls and indoor arenas, ice racing in Wisconsin and in the Alps, and the American Wall of Death in the Texas sun. They’ve shot dozens of cool custom bikes being ridden through the urban streets, the twisting mountain roads, through the rolling green countryside and the scorched flat plains. 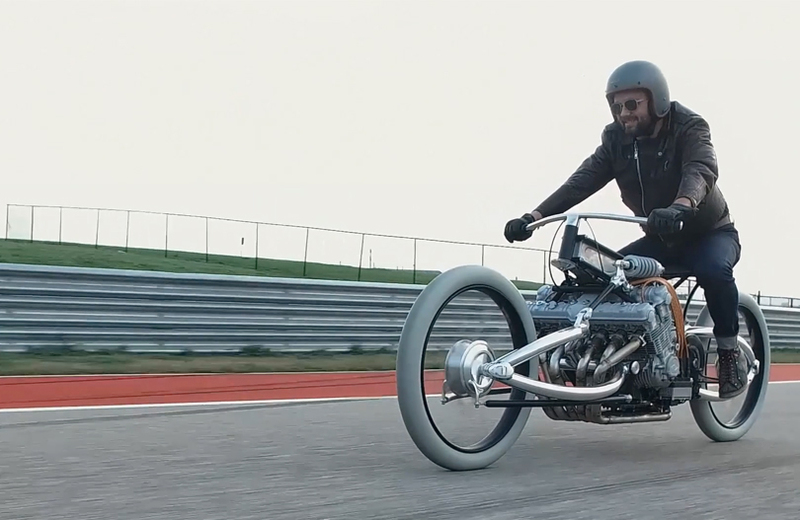 They’ve filmed choppers, café-racers, flattrackers, sprint bikes, electrics, old school specials and urban brats, hundred-thousand dollar pristine beauties and five hundred buck rippers. This is not a film about motorcycles, it’s about motorcycle people. 1) Will it make its way to the US ? 2) Will any theaters show it in the US ? 3) And if not ( or even if they do ) will it be made available on DVD in North American format ? Hopefully the answer at least to number three is a resounding YES . Keep us informed on the progress of this one good sir ! French custom are not customized…they are fashioned as they all look the same with the brown flat seats, dull black no front mudguards and tractors tires. You have hundred for sale and nobody want to buy those “things” uncomfortable, noisy and generally badly build ( the builder is proud of his work and ask 3 times the price of the original bike!). The good point, it make the value of unmodified one going up. Note that i’m not against a real ” choperisation ” or customization, if they use some home made unusual accessory…and at the condition to do not use a bike in good condition as a base. A lot of accident or rusty bikes are here for do some excellent and cheap start to exercise (more or less successfully) some art.